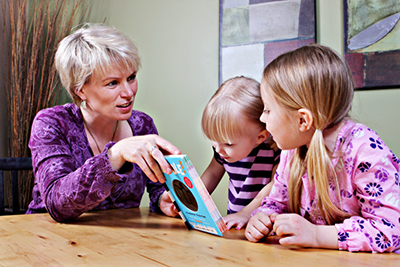 Speech & Language Works is a speech and language pathology firm in Medicine Hat, Alberta. 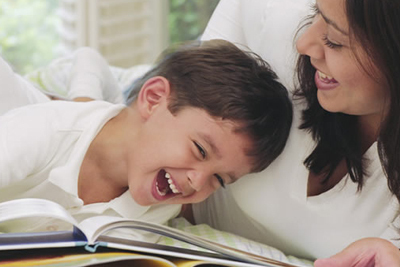 Our client-centered team works with children and adults presenting a wide range of speech and language issues. Service starts with an initial screening followed by assessment and diagnosis. 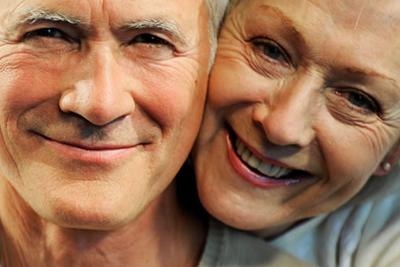 We deliver timely, professional care that includes expert consultation, advice, intervention and treatment. We partner with audiologists, occupational therapists, physiotherapists, psychologists, educators and parents in Medicine Hat and surrounding area. When we aren’t working with clients, we deliver educational workshops and seminars for parents and educators. Our team has extensive education and experience to help your child produce sounds correctly in words and in conversation. Learn more about our Speech & Sound Services. We provide thorough assessment and treatment plans for children, school-age and young adults with language delays and disorders. Learn more about our Complete Language Services. People who have suffered a stroke, brain injury or have a diagnosis of dementia, Multiple Sclerosis, Parkinson’s or Alzheimer’s can often benefit from alternative possibilities. Effective communication requires advanced facial and oral muscle movement. If we have difficulty producing these movements, our message may be lost. Speech therapy can help. Our son was diagnosed with Verbal Apraxia at the age of 3, for the last 6 years we have been accessing speech therapy through Speech and Language Works. We have worked with the staff in both a school setting and private sessions. They have not only helped develop our son's speech but they have been an invaluable source of information regarding funding, resources and new therapies, such as hippotherapy. The joy they experience when my child makes gains matches ours as parents. They take their time to understand how to reach each child and they tailor their program to engage them in the most effective way. Speech and Language Works is an amazing company with incredibly talented staff, I would recommend them to any parent who's child is in need of speech services. Speech Language Works has been working with our family and son who has Autism for about 9+ years. Sandy and her team are a professional, dedicated group there to provide families with support, strategies, and resources for success. They truly care about providing the best services possible, while working with each child's individual needs and maintaining family priorities. Through their dedication and commitment, Speech Language Works has shared our son's milestones and many, many successes and we are incredibly grateful. When my son was first diagnosed with FragileX/ Autism I was devastated. I felt alone and very lost. I received a phone number from a family member of an SLP, who had 20 plus years of experience working with special needs children. With a shaky voice and glimmer of hope, I made the call. My son's life has been forever changed and is full of hope now because of our miracle worker, Sandy. We have been with the SLW team for many years due to speech delays in both of our boys. Both Hunter and Archer have improved leaps and bounds with their speech skills.The confidence they have now is so heart warming to see and we are forever grateful to the team at SLW! We definitely recommend them to everyone we know. The one on one service and the family atmosphere are what make SLW stand out. Both boys would be lost without the support, guidance and love from he team. Our son has received services from Sandy for 5 years due to autism and a speech delay. We have seen a huge difference in his communication skills. He went from basically nonverbal to being understood 85% of the time. We love the knowledgeable, friendly staff who are willing to go above and beyond for us. I recommend them! We were first introduced to SLW when my eldest son was 2.5. He struggled with making words, formulating sentences and copying sounds, but he was our first so we didn't really have anything to compare him to. When a family member gently mentioned that they felt like he was really struggling compared to his peers we started to pay more attention. He was reluctant to approach children that weren't his family members, he became easily frustrated when we didn't understand his needs or wants and his behaviour became really challenging at times and we discovered that this was linking back to when he was feeling misunderstood or unheard. After meeting with Sandy and the recommendation for hippotherapy was made we took a leap of faith not ever having heard about it before. This was by far one of the greatest parenting decisions we have ever made! When we entered the barn the very first time he maybe had audible 30 words, upon leaving he turned, looked at the horse and said “bye Buck” sounding more like “bye buh”, but still; this was a miracle. I stopped dead in my tracks and just cried. Following that session we did lots of recommended exercises and within the course of a few months he was talking. Confidentially, charismatically talking. Stumbling through words, vocabulary and phrases as one 2 year old might expect to. When I tell people about this the first thing they say is “he doesn’t sound like he has a speech issue” and they’re probably right. What they don’t know is the science and what I would consider to be a bit of magic that is behind this miraculous and life-altering therapy. There really are no words to describe how we feel seeing our son confidentally making friends and enjoying new activities. I have no idea where we would be today if we hadn’t participated in the SLW program and because of that I would recommend this program to any and all people who are experiencing similar challenges and are looking for a way to work through it with the most professional, caring and committed team of therapists anyone could ask for.